ATLANTA, June 27, 2017 /3BL Media/ — Cox Enterprises announced today the Jim Kennedy Scholarship Fund recipients. The fund supports children of Cox employees and annually awards ten, $10,000 scholarships. The scholarship is renewable for up to three additional academic years – reaching a total value of $40,000 – provided the student meets the established criteria. Samantha Anton: A graduate of Millard West High School in Omaha, Neb. Derrick Bush: A graduate of Springdale High School in Springdale, Ark. Vivica Cloud: A graduate of Martin Luther King, Jr. High School in Atlanta, Ga.
Emily Lopez: A graduate of Verrado High School in Phoenix, Ariz.
Kassandra McDonald: A graduate of St. Mary Academy-Bay View in Greenwich, R.I.
Allison Powell: A graduate of Bellbrook High School in Bellbrook, Ohio. Alexander Pratt: A graduate of Derby High School in Derby, Kan.
Aislinn Shea: A graduate of Granby High School in Norfolk, Va.
Ashley West: A graduate of Hampton High School in Hampton, Va.
Riley Williamson: A graduate of Cranston High School West in Cranston, R.I. 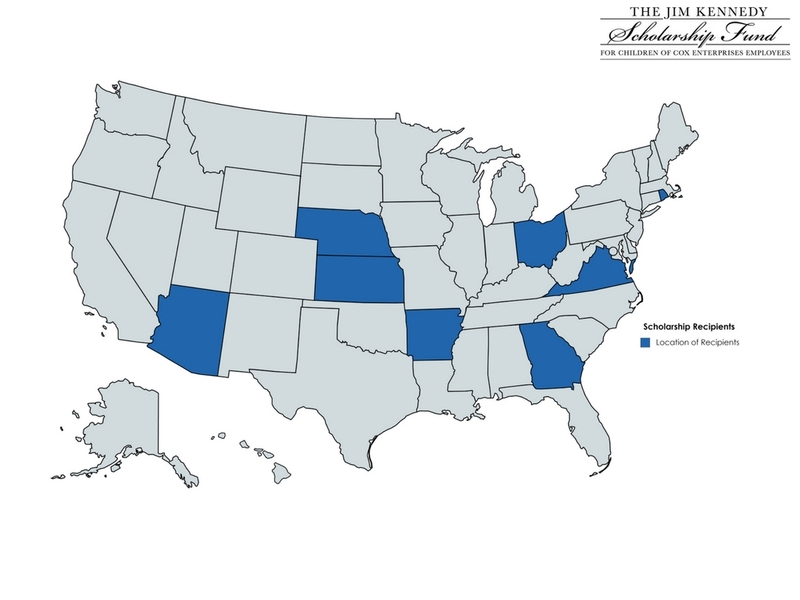 This year, the Jim Kennedy Scholarship Fund received more than 150 applicants from across Cox’s divisions. The scholarships are funded personally by Cox Enterprises’ Chairman Jim Kennedy and are open to high school seniors with a parent who has worked full time at a Cox company for at least three years. Cox Enterprises' major divisions are Cox Communications, Cox Automotive and Cox Media Group. To learn more about other employee assistance programs at Cox Enterprises, visit www.CoxCSRReport.com.